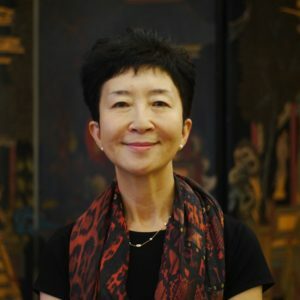 Fumiko Nazikian joined Columbia University in 2004 and served as the director of the Japanese language program until Spring, 2015. At Columbia she has taught all levels of Japanese from elementary to fourth year Japanese. She also regularly teaches at the Columbia Summer M.A. program in Japanese Pedagogy. Prior to arriving at Columbia, she was a senior lecturer at Princeton University where she taught for 16 years. She has also taught at the Australian National University, the University of Sydney, and the University of New South Wales. Her research interest is in linguistic pragmatics focusing on topics such as discourse analysis and exploring links between linguistics and language pedagogy. She acted as a reviewer of the AP Japanese Language and Culture Course and served as a committee member for the Japanese SAT. She was a Board member of the American Association of Teachers of Japanese (AATJ) for 2008 – 2012.